‘Tis the season to be jolly. That is unless you are an out of work football manager. Just two weeks ago Tooting & Mitcham United parted company with ex-Sheffield United player Mark Beard as their manager. The life of a non league manager is a perilous one that is for sure. 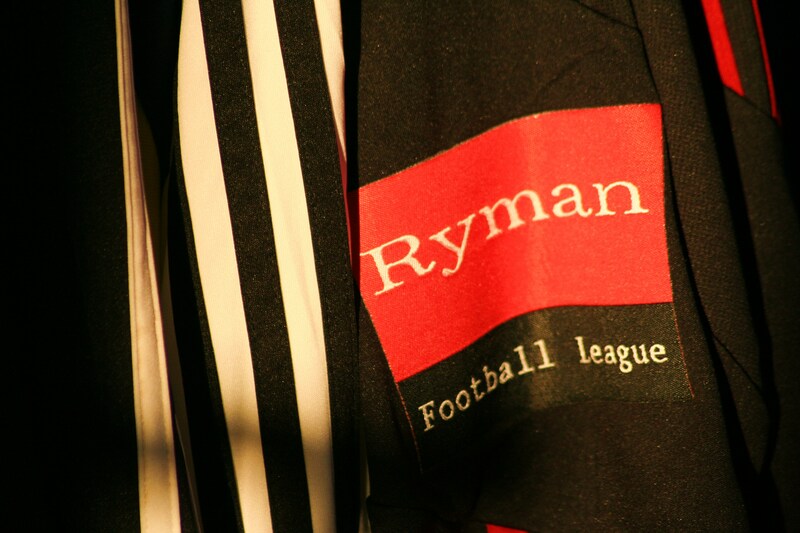 Whilst the tenure of a league manager is at its all time low of 1.5 years, the non leagues tend to be even harsher. Few managers below the Blue Square Bet Premier enjoy contracts in length of more than a season. There is no loyalty in football, simple as. 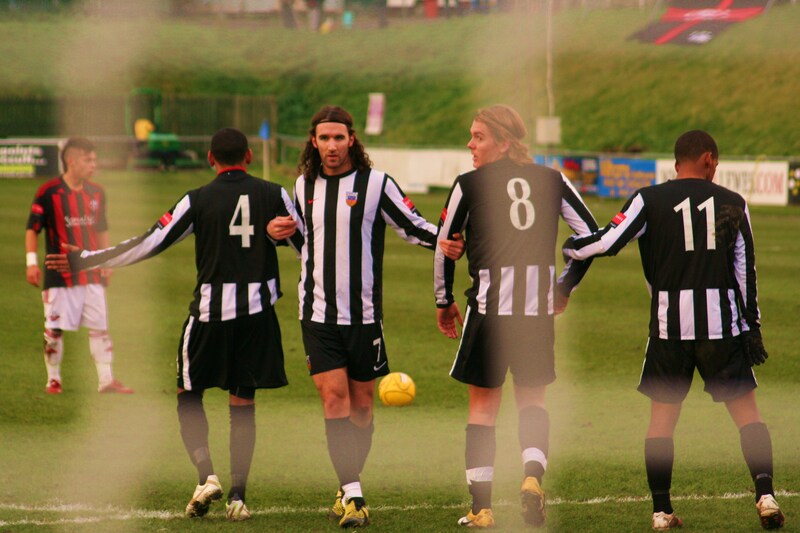 The Terrors came into the Christmas special with Lewes on a horrendous run. One point from their last eight league games, and twenty-three goals conceded put them firmly at the bottom of the current form table. Despite Mark Beard being a “good all round chap”, any club owner would be compelled to act in such circumstances, mores the pity, especially when a new board had just taken over the club with grand plans that included “League Two football in a 14,000 seater stadium within 10 years”. 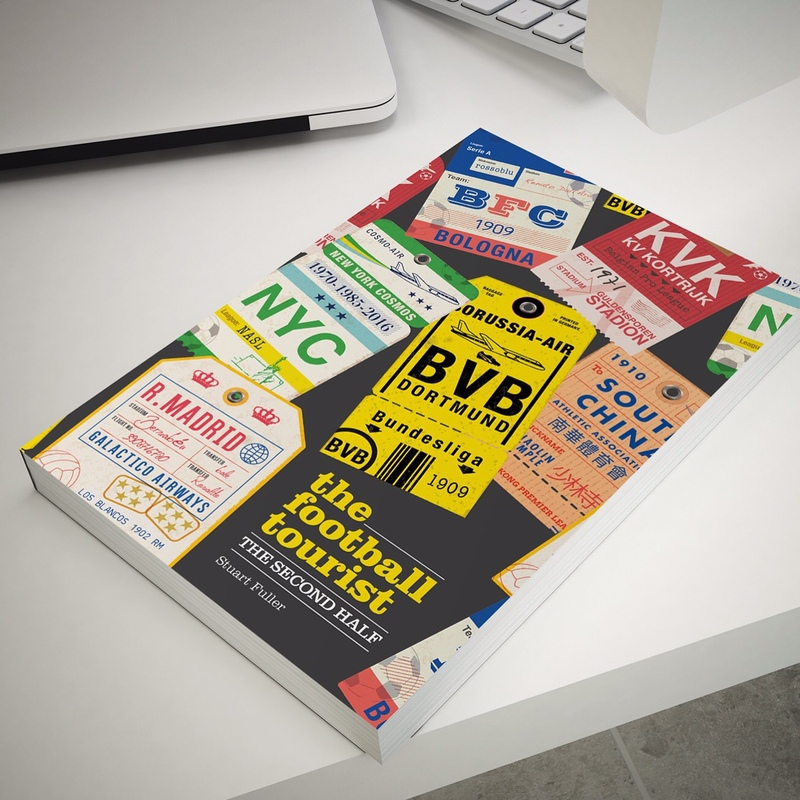 The non leagues are littered with clubs who thought they could change the world. 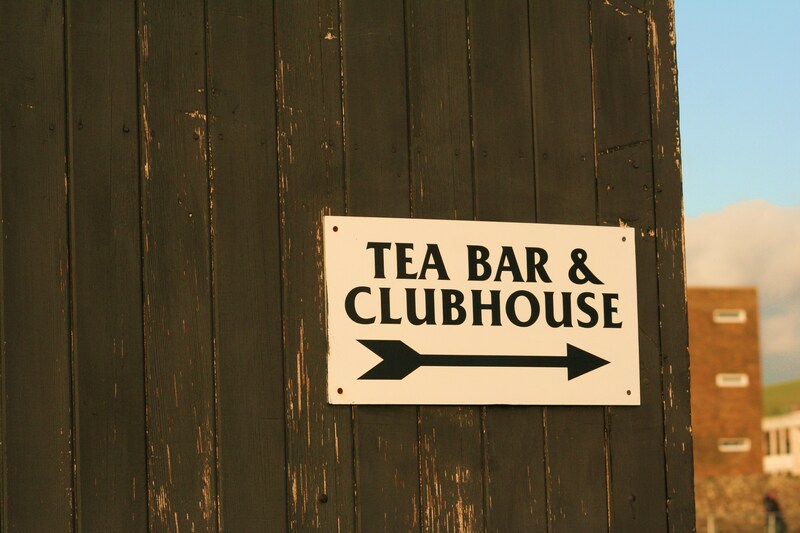 Few clubs have ever made it – Yeovil Town’s rise was built on being the biggest club in a huge catchment area, coupled with a well run club. Accrington’s rebirth on community spirit and even Crawley Town had plied their trade in the Conference Premier for a number of years before the money appeared. Whilst I admire the ambition of any club (and being a director of Lewes I know what our ambition is), there is a sense that someone needs to just remind them of reality. They currently get crowds hovering around the 300 mark, sitting at the apex of a triangle with Sutton United and Carshalton Athletic just a couple of miles away, whilst AFC Wimbledon are just five miles to the west. With thousands of people sitting on the doorstep you have to wonder why they haven’t been through the gates of The Hub (as their ground complex is called). With their new owners came a new manager. Kenny Brown, son of the legendary West Ham defender and Norwich City manager Ken, was last seen in the non league game at Grays Athletic working alongside Julian Dicks. Kenny once cost Manchester United the league title with a goal for West Ham against them in April 1992 which handed the momentum to Leeds United. Brown joined the club just a few days ago and had already brought in a number of new faces, some of which who met for the first time on the coach down to Lewes. With the Rooks recent form (apart from the blip last week against Concord Rangers) being white-hot, few would have backed anything apart from a home win. With this being the last game before Christmas and to celebrate our nomination as the Best Football Blog at the NOPA’s (Well done to In Bed With Maradona for winning the award btw) we agreed to be Matchball sponsors for the day. My special guest, Sarah “Hotscores” Flotel was to decide the man of the match. Little did we know that the choice would be so easy. At 3:12pm, five miles away at Falmer, Brighton & Hove Albion had been reduced to nine men. “Blimey” was the collective comment on the Jungle terrace as Lewes battered Tooting & Mitcham United (hereby called TMUFC for brevity). Less than an hour later the visitors would have gone one better than the Seagulls, playing out the final period of the game with just eight men. Anyone looking from the outside in would assume this was a dirty game. The truth was very different. In one of those instances where the planets align, the game was being attended not only by the Sussex FA but also by a referee assessor putting undue pressure on the man in the middle Saul Kay. That can be the only reason why the official was far too quick to take action in a game where there wasn’t a malicious tackle. 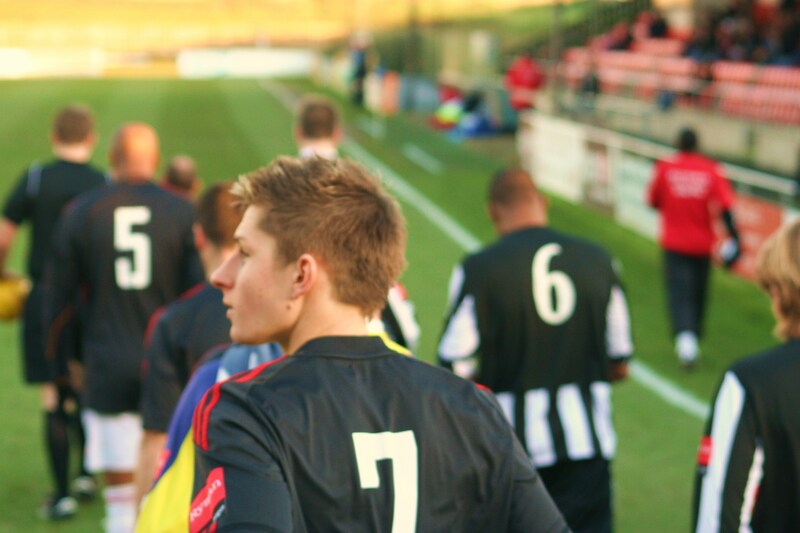 Lewes started as if they meant business, carrying on the attacking intent from Tuesday nights win at Carshalton Athletic. 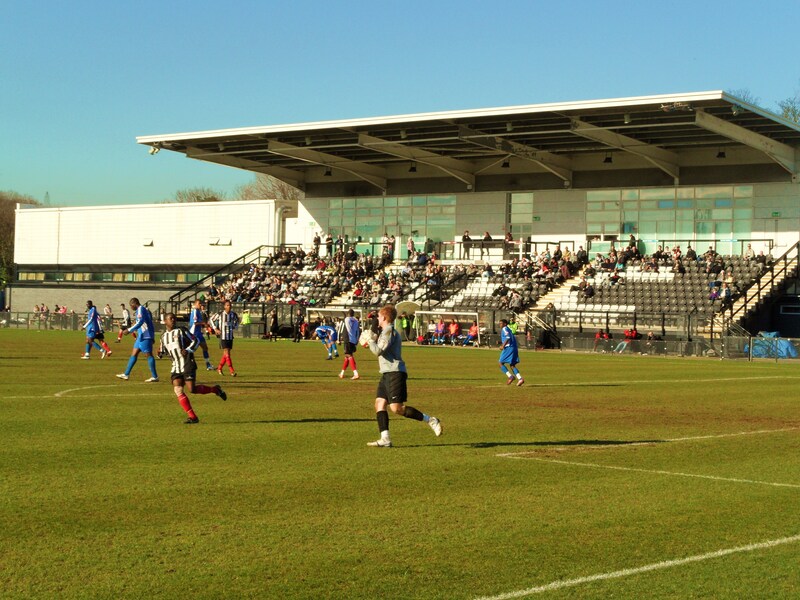 Early in the game TMUFC keeper Darren Behcet was called into making a couple of saves from Malcolm and Harding. In fact Behcet earnt top marks for his banter with the crowd all afternoon. It is rare that keepers bother to interact with the crowd, but when they do it creates a bond, and the fans appreciate it. Even when Christian Nanetti’s cross drifted over his head in the 45th minute to give Lewes the lead we couldn’t bring ourselves to mock him even though it had to be his fault. By this stage TMUFC were already down to ten men. 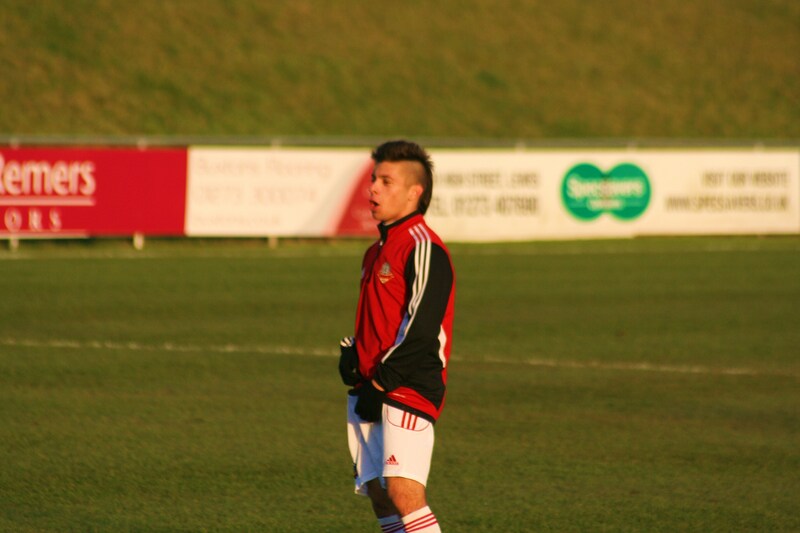 Midfielder Charlie Dove went to challenge Nanetti in front of the benches and the linesman. He didn’t leave the ground in the tackle, his studs were not showing and contact with Nanetti, who was already trying to hurdle the tackle, was minimal. A yellow card would have been harsh, but Mr Kay pulled out a straight red. Even the Lewes players put arms around Dove as he walked off the pitch. The second half started with a bang as within a few seconds of the restart Malcolm hit the bar with a thunderous shot and Harding’s follow-up somehow being kept out by the TMUFC fullback on the line. With Lewes camped firmly in the TMUFC half things went from bad to worse when Jordan Wilson received a second yellow for a very soft challenge. With the possessionometer (that must be a Sky inspired word?) 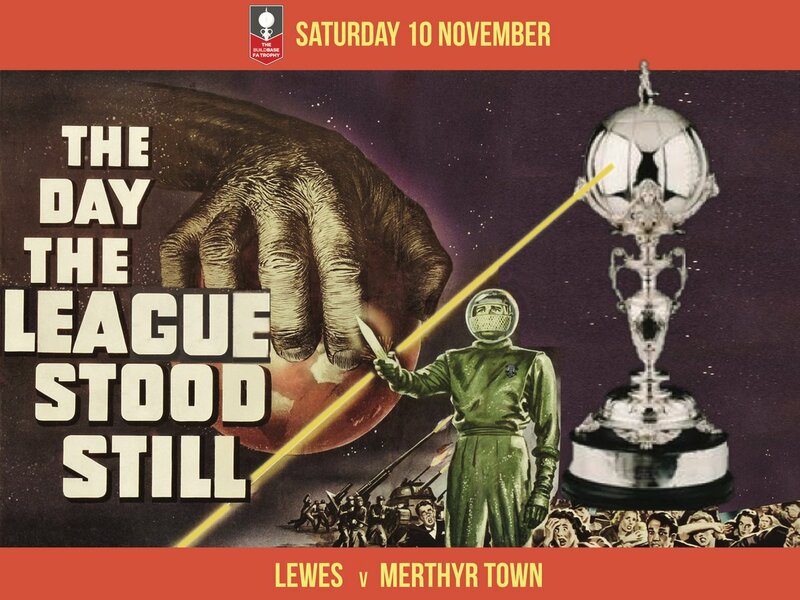 firmly in the red for Lewes, and the visitors now two men down only a fool would have put a bet on TMUFC scoring the next goal, but that is exactly what happened when Charlie Stimson was unmarked (how? We had two extra players!) at the far post and steered the ball home. If it wasn’t for Rikki Banks in the Lewes goal TMUFC would have then taken the lead as he made two world-class saves in quick succession. Were the wheels about to fall off the Lewes juggernaut? Cometh the hour, cometh the little Italian wizard. Finally Lewes realised that there was more room on the pitch and started feeding Nanetti. With full back Terry Fennessy already on a yellow, and a trigger happy referee, he started to take on the full back at will, getting to the byline on a number of occasions without the final ball finding a home. Then with twenty minutes to go Malcolm managed to get on the end of one of these runs and despite Behcet’s initial save, he followed it up to stab it home. Number three came again from Nanetti’s byline insertions although he had decided to swap wings. His low cross was smashed home by Alex Stavrinou to make it three with ten minutes still to play. It was inevitable that Nanetti would taunt Fennessy once too often and the full back brought him down, earning his second yellow and TMUFC’s third red card. Can they claim they were “cheated” as their fans thought? There was no doubt every single incident was a foul and perhaps under another referee (not being assessed?) they would have finished with a couple more men on the field. With a few minutes to go I had to make the call on Man of the Match. Banks for his brilliant saves? Max Hustwick for his outstanding defensive performance? Matt Somner for his solid performance in the middle of the park? Stavrinou for his box to box running? There really could only be one choice…..The referee. No sorry, Christian Nanetti scored one, made two, had a hand in three sendings off and still had the most bizarre haircut on the pitch. The lad is a real talent and when he is on song like today there are few teams who would want to face him. 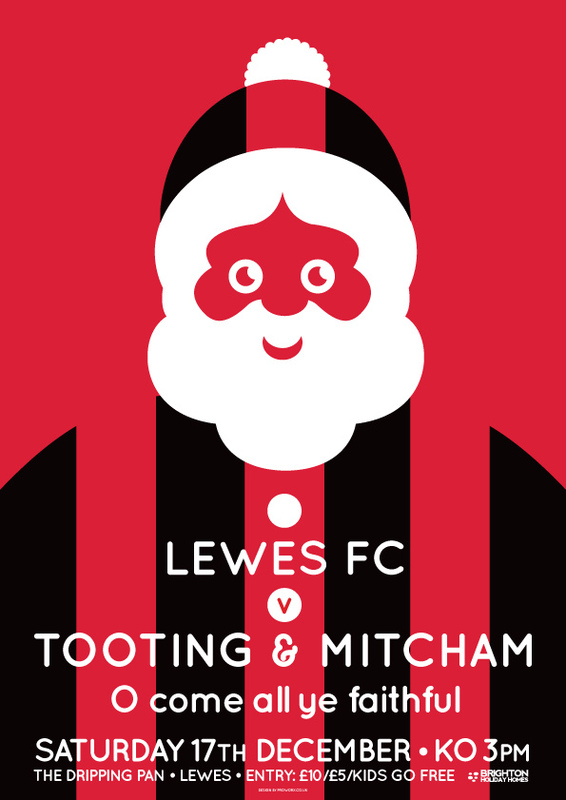 So Lewes go into the Christmas period with six wins in their last seven games, back in the playoff positions and having two home ties in the quarter finals of two cups there was reasons to be cheerful. For the visitors? One point from a possible twenty-seven, three suspensions pending and a new squad to bed in mean things look a bit Bob Scratchit. More pictures from an interesting day can be found here. This entry was posted in Lewes FC, Non league football and tagged Christian Nanetti, Dripping Pan, Lewes, Ryman Premier League, Tooting & Mitcham United. Bookmark the permalink.